There's always something going on Malaysia whatever the month. 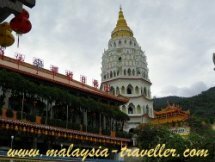 With this Malaysia Events Calendar 2019 you can see month by month all the major festivals and activities planned for this year. Of course Malaysia, with its year-round tropical climate, does not have the seasonal variations that many countries experience. 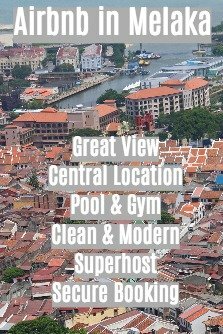 Most of the top attractions appearing on this website are available all year round such as climbing Mt. Kinabalu, exploring the national parks and caves, or just relaxing on the beach. Some of the East Coast beaches and islands have a low season when the northeast monsoon makes the seas too choppy (November to February) but beaches elsewhere in the country are enjoyable throughout the year. If you are planning a trip to Malaysia it is always sensible to check what events are scheduled for your proposed dates. Even if you don't want to participate in the events yourself they might affect hotel room and air ticket availability and prices. NB Schools in Johor, Kedah, Kelantan & Terengganu begin and end a day earlier. In addition to the above there are a number of state holidays which apply in specific states only. 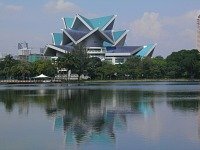 One venue which has different events going on all year is Istana Budaya, Malaysia’s national performing arts theatre, home to cultural events such as classical music concerts, local and international theatre shows, traditional local music, opera, dance performances and so on. Some of the dates are tentative at this stage. I shall be updating the page throughout the year as and when timings are confirmed. The Sun Life Malaysia Resolution Run takes place on Saturday 12 January 2019 at Perdana Botanical Garden, Kuala Lumpur. Sign up for the 5km or 12km event with medals for all finishers and cash prizes for the top 5 in the 12km category. Tourists and locals alike will not want to miss the Hiang Tiang Siang Ti Temple Procession with colourful floats with lion and dragon dances taking place in Kuching's Carpenter Street on 9 January 2019 from 5pm - 9pm. Ponggal is a four-day Hindu thanksgiving event with festivities climaxing on 15 Jan 2019 with a celebratory event at Sri Mahamariamman Temple, Penang and at various locales around the country. Also on the water is the 17th Royal Langkawi International Regatta 2019 to be held on the island from 7 - 12 Jan 2019 with 32 entrants already lined up. 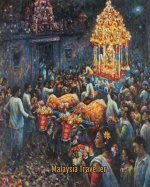 If you don't mind huge crowds you could witness Thaipusam Festival 2019 which includes a 15km chariot procession from Kuala Lumpur up to the amazing Batu Caves. This event will be attended by over a million people on 21 Jan 2018. Festivities will take place elsewhere in Malaysia including Little India in Penang. 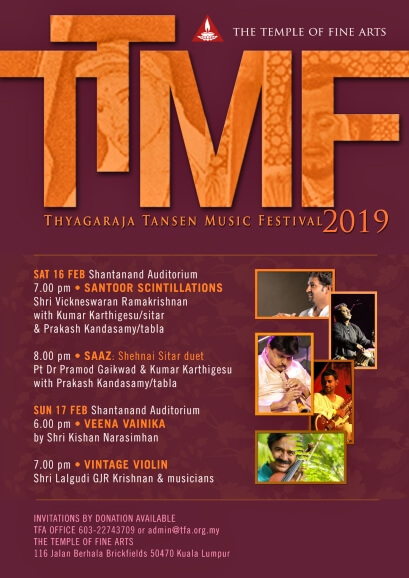 Lovers of Indian classical music will not want to miss the Thyagaraja Tansen Music Festival (TTMF) to be held at the Temple of Fine Arts, KL on Saturday 16 - Sunday 17 February 2019. Find details on their Facebook page. The Kuching Heritage Race lets teams race through Kuching while solving clues and learning about the city’s heritage along the way. This fun event with a good cause is tentatively scheduled for Saturday 16 February 2019 starting at 8am. Surfing enthusiasts should get along to see the thrills and spills at the Tioman Surf Festival set for February 2019 (dates still to be announced) taking advantage of the rough monsoon seas which impact the idyllic island at this time of year. Chinese New Year falls on 5 February this year although celebrations start earlier such as the Chinese New Year Carnival in Kota Kinabalu’s Gaya Street. You can see how Malaysians welcome in the Year of the Pig with joyful celebrations, lion dances, fireworks and lots of food. Some of the main temples have splendid light and lantern displays at this time of year, including Kek Lok Si Temple in Penang (from 4 - 19 Feb 2019) and Thean Hou Temple in KL. In Jenjarom, Selangor, the FGS Dong Zen Temple is holding its annual Chinese New Year Lantern & Flora Festival from 31 January - 19 February 2019. Miri will throb to AfroLatin dance music at the Miri AfroLatin Fiesta 2019 organized by La Danza Fitness & Dance Studio in Miri from 28 February - 3 March 2019. The Penang Hot Air Balloon Fiesta is scheduled to take place again this year at George Town's Padang Polo on 9 and 10 Feb 2019. No walk in the park is the Bukit Kiara Ultra Challenge, a 12 hour or 50 km race around KL's popular Lembah Kiara Park. It is happening on 24 Feb 2019. In Johor, the Pasir Gudang International Kite Festival is due to be held from 28 Feb - 4 Mar 2019 at Bukit Layang-layang, Taman Bandar, Pasir Gudang. 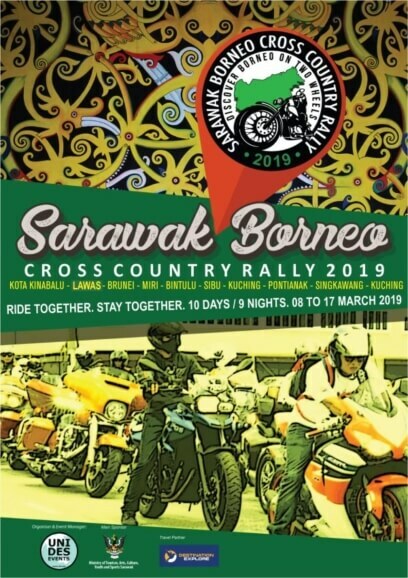 The Sarawak Borneo Cross Country Rally 2019 is a 12 day motorcycle rally starting in Kota Kinabalu on 8 Mar and ending in Kuching on 17 March 2019. Golf fans will look forward to the Maybank Championship 2019 which take place at Saujana Golf and Country Club from 21-24 Mar 2019. If you are looking to buy some fabulous Malaysian-made furniture products then the Malaysian International Furniture Fair 2019 (MIFF) is the place to be. It will take place at MITEC & PWTC in KL from 8 - 11 March 2019. It is aimed more at trade visitors but the general public can attend on the last day, 11 March. The 23rd edition of the prestigious 1200 km cycle race, Le Tour De Langkawi 2019, gets underway on 24 Mar and ends on 31 Mar 2019. If you think you are fit enough, the Borneo Ultra-Trail Marathon takes place again this year on 9-10 Mar 2019 in the spectacular scenery of the Kiulu Valley north of Kota Kinabalu. The Miri Marathon is back with full and half marathon events, and a 10km speed run all taking place on 17 March 2019 at the Stadium in Miri. MyBalloon Fiesta, which appears to have reverted to its old name of Putrajaya International Hot Air Balloon Fiesta, is scheduled to take place next to Monumen Alaf Baru from 28-31 March 2019 in Precinct 2, Putrajaya. Bird-watchers will love Raptor Watch, Malaysia's biggest and best eco-tourism event. It is organized by the Malaysian Nature Society and this year it is expected to be held from 7 - 8 March 2019 at Tanjung Tuan Wildlife Reserve (Cape Rachado). We are awaiting details and dates for the Kota Kinabalu Jazz Festival which last year took place in March at the Sutera Marina Golf & Country Club in Sabah. If you are looking to buy a private jet, a helicopter or an aircraft carrier then LIMA is the exhibition for you. LIMA (Langkawi International Maritime and Aerospace Exhibition) is a biennial event and is back this year, slated for 26 - 30 March 2019. What's on in Malaysia in April 2019? ANZAC Day, 25 Apr 2019, is to be marked as usual in a poignant ceremony at Sandakan Memorial Park, the starting point of the infamous Death Marches. One of Malaysia’a top fishing events, the Sabah International Fishing Tournament is scheduled to be held at the fishing grounds at Layang-Layang Reef from 9 - 14 Apr 2019. You don’t have to go to Thailand to experience Songkran Water Festival as there will be plenty of water splashed about at Wat Chayamangkalaran Thai Buddhist Temple in Penang on 13 Apr 2019. Regatta Lepa is usually held in Semporna, Sabah in April each year (2019 dates to be confirmed. The lepa is the traditional sailing boat of the Bajau people and a number of cultural events are held at this time. Sticking with the water theme, the Balleh-Kapit Raft Safari River Expedition has become one of Sarawak's top tourism events. It is a two-day rafting competition on the Balleh River where participants experience the rich Iban culture. To be held from 5 - 7 April 2019. The UNICEF Borneo Marathon 2019 event has 42km, 21km and 10km categories and will be held in Kota Kinabalu on 28 April 2019. Wesak Day marks the birth, enlightenment and death of Buddha. This year, Wesak Day falls on 19 May 2018 and activities will be held in Buddhist temples all over the country such as at Maha Vihara Buddhist Temple in Brickfields. The fasting month of Ramadan is one of the highlights of the annual calendar and special food stalls and bazaars spring up all over Malaysia during this time. Ramadan this year will last approximately from 5 May - 3 June 2019. There's more running at the 10th annual Dragon's Back Run which happens on 17 June 2019 at Urban Park Setia Alam. Fraser's Hill International Bird Race is another bird watching highlight of the Malaysia Events Calendar. It takes place at Fraser's Hill, Pahang from 22-23 June 2019. Gawai Dayak, 1st - 2nd Jun 2019, is a harvest festival celebrated all over Sarawak by the state's indigenous people in traditional costumes. Hari Raya Aidilfitri is a nationwide celebration marking the end of the fasting month. This year it falls around 5 - 6 June 2019. The spotlight is on Miri in Sarawak this month where the Borneo Jazz Festival, now in its 14th year, is to be staged at the Coco Cabana (19-21 July 2019). The Rainforest World Music Festival, one of the largest musical events in Malaysia, will be held in the shadow of legendary Mt. Santubong near Kuching, Sarawak from 12-14 July 2019. Also in Sarawak, the Borneo Cultural Festival is a week long free event showcasing the food, music and dances of the multicultural communities who are unique to Sarawak. It takes place in Sibu Town Square from 18 - 27 July 2019. July 6th has been declared Agnes Keith Day (her birthday) and visitors are invited to visit the famous author’s former residence in Sandakan which has been turned into a museum. St. Anne's Church in Bukit Mertajam, Penang is the focal point for the annual 10-day St Anne's Novena and Feast Day celebrations which takes place at the end of July annually. Dates for 2019 are to be confirmed. The exciting Japan Expo Malaysia 2018 happened at Pavilion Kuala Lumpur from 27th - 29th July 2018. It will probably be repeated again this year. Don't miss it! SCORE Marathon 2019 Run The Day promises an adrenaline-pumping experience amidst the streets of Kuala Lumpur on 28 July 2019 (Sun). What's On in Malaysia in August 2019? The Japanese Bon Odori Festival 2019 will probably take place at the Shah Alam Sports Complex around this time of year. This year's dates and venue are to be confirmed. In Penang, the George Town Festival celebrates George Town's living heritage and features multi-cultural arts and dances, delicious food and traditional activities. It is tentatively happening in Aug 2019. National Day, or Hari Merdeka, is on 31st August 2018 and as usual, parades and other activities will be held to celebrate the day on which the country achieved its independence from Britain. 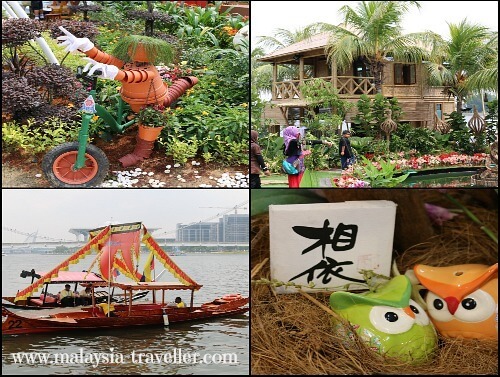 Royal Floria 2019, Putrajaya's highly popular annual flower and garden festival, should not be missed by garden lovers. This year's event is tentatively scheduled to take place at Anjung Floria, Presint 4 from 31 August to 8 September 2019. Vinayagar Chaturthi is when thousands of Hindu worshippers gather at temples such as Kortumalai Pillayar Temple in Jalan Pudu Lama to make offerings to the deity Lord Ganesh. This festival will fall on 2 Sep 2019. The Royal Pahang Billfish International Challenge takes place at Lanjut, Kuala Rompin, Pahang. This popular annual angling event attracts competitors from around the world. Dates for 2019 to be confirmed. The Mt Kinabalu International Climbathon, a challenging 23km run on Malaysia's highest mountain, should be making a comeback in 2019 now that it is a biennial event and the last race was in 2017. Dates for the 2019 event are to be confirmed. The Tamu Besar traditional open-air market is usually held in October in Kota Belud, Sabah. Highlights include Bajau Horsemen (known as Cowboys of the East), a beauty pageant and water buffalo race. Watch out for the dates to be announced. Deepavali (Diwali) or the 'Festival of Lights' falls on 27 October 2019 this year. Open houses are held where family and friends visit each other and enjoy delicious traditional food. Over in Sarawak, the Siniawan Heritage Fiesta, set for 4-6 October 2019, is when this small town about 20km away from Kuching shows off its cultural heritage. Miri Country Music Festival will bring out all the Wild East cowboys and girls at the Coco Cabana in Miri on 22-23 Nov 2019. Annual Remembrance Day ceremonies will be held at the Labuan Commonwealth War Graves on 11 Nov 2019 to remember those who fell in the defence and liberation of Borneo during WWII. We can expect the Penang Bridge International Marathon to be scheduled again this year in November. Malaysia's main shopping festival, 'Malaysia Year-End Sale' is expected to begin around 1 Nov 2019 and continue until the year end. Malaysia's premier agro fair, MAHA, takes a year off in 2019. This hugely popular event for the whole family as well as trade exhibitors will return in 2020. What's on in Malaysia in December 2019? Big Bad Wolf Books is a hugely popular annual book sale event and takes place every year at The Mines in December. Dates will be confirmed closer to the time. In the run up to Christmas, i-City in Shah Alam, with its forest of digital lights and Snowalk attractions, is especially popular at this time of year. Homeowners in the Portuguese Settlement in Melaka take pride in decorating their houses inside and out at Christmas. Elsewhere, some of the best Xmas decoration displays can be found in KL's top shopping malls such as Pavilion Kuala Lumpur. Malaysians like to see in the New Year with enthusiastic celebrations and plenty of cheer. Lavish firework displays are held in major towns all over the country. Light and Motion Putrajaya LAMPU illuminates Putrajaya with a spectacular sound and light display projected on some of the city’s major landmarks and is held from 30 Dec - 1 Jan annually. That's it! I'll add more items to this Malaysia Events Calendar as the year progresses.